The two sister-islands of Ko Rok, Ko Rok Nai – 'Inner Rock' and Ko Rok Nok – 'Outer Rock', offer beautiful diving with fabulous beaches and are suitable for divers and snorkellers of all levels. Located approximately 25 km south of Ko Haa, Ko Rok has relatively shallow dive sites with a depth of 15-25 m, which makes it a great destination for students, beginner divers and snorkellers. 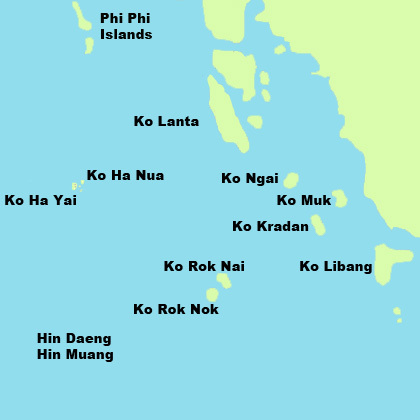 Ko Ha Thailand The Ko Haa dive sites offer beautiful scuba diving and snorkelling with spectacular visibility. Ko Haa's highlights include The Lagoon, The Cathedral, The Chimney and other caverns, inter-connected chambers and swim-throughs. Ko Haa, which means 'Five Islands' in Thai, has more than 10 different dive sites that offer perfect conditions for divers of all levels. It has a central area called 'The Lagoon' that is ideal for beginners. Ko Rok is perfect for a night stop with its calm and very clear water. Some guests on our boats decided to stay there even for two nights. Visit Ko Rok Nok and Ko Ha Thailand with your Private Sailing Charter Yacht for fantastic holidays away from the mass tourism. 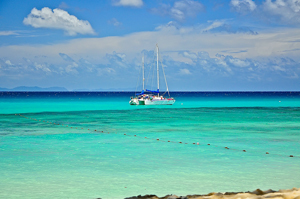 Many of our larger sailing yachts offer Scuba Diving as well. It is best way to dive the Phuket Waters in Thailand. We do not have to follow any strict schedule / itinerary. Meaning, we go to discover the reefs when other dive boats have left.